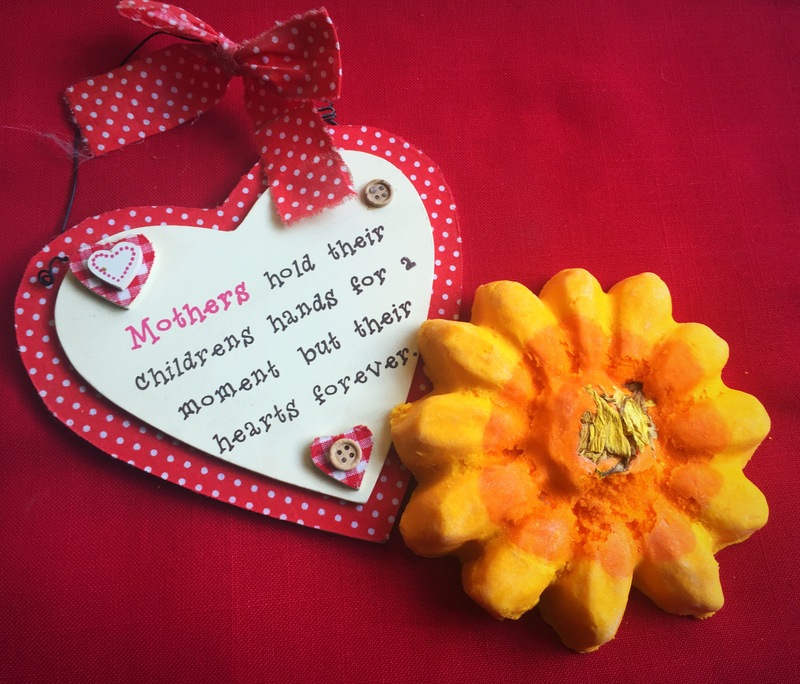 The sunflower bubble bar is part of the Mother’s Day range 2016, this bubble bar is only available at the moment to buy individually at the flagship Oxford street store (why do I live so far from London). However if you really want to try this bubble bar (I totally recommend you do) it is available in the Happy Mothers Day, Mum and Ladybird gift sets that are available in most stores and online. The size of the bubble bar is amazing! It is massive!!! 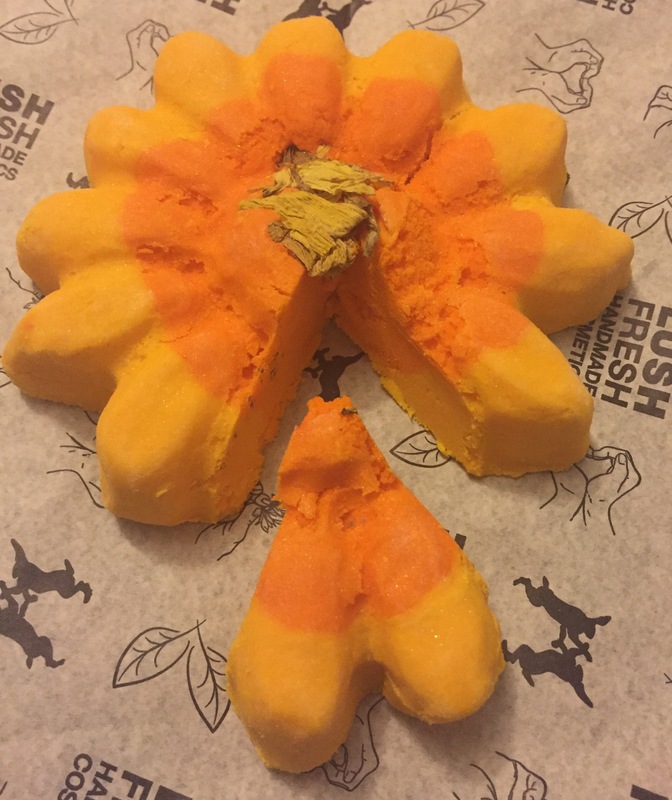 The sunflower bubble bar is defiantly the biggest bubble bar I have ever seen lush release and you could easily get 5-6 baths out of this product.It has the most beautiful design. 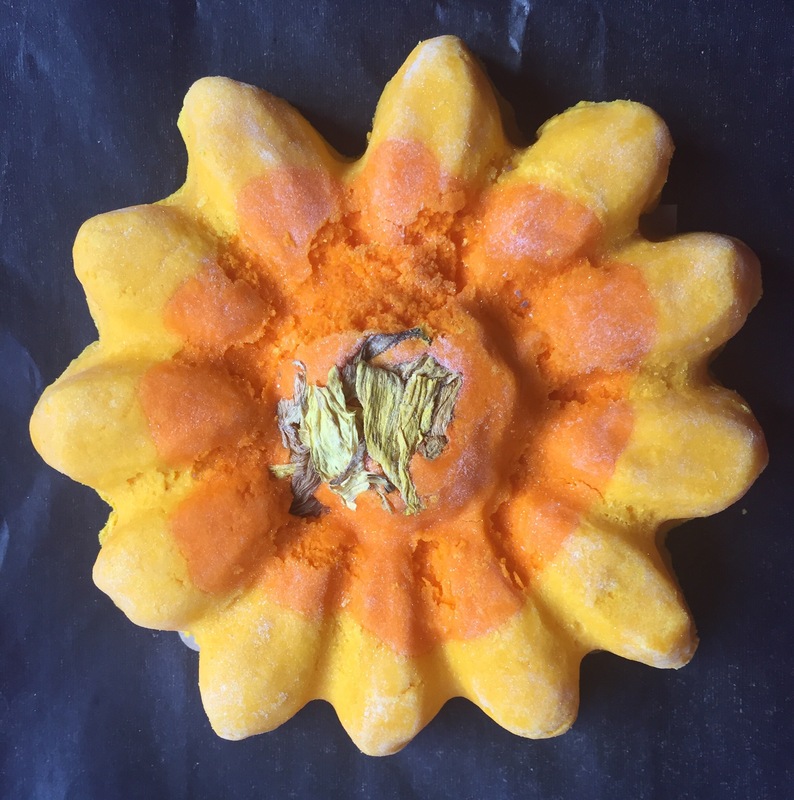 Shaped perfectly like a sunflower, the bubble bar is a mix of vibrant yellow and orange and is decorated with dried sunflower petals. What I love the most about the sunflower bubble bar though is its scent. I am a huge fan of citrus scents, so I was over the moon to find out that this was not going to be a floral scent like I expected and it was instead a beautiful sweet lemon citrus scent. 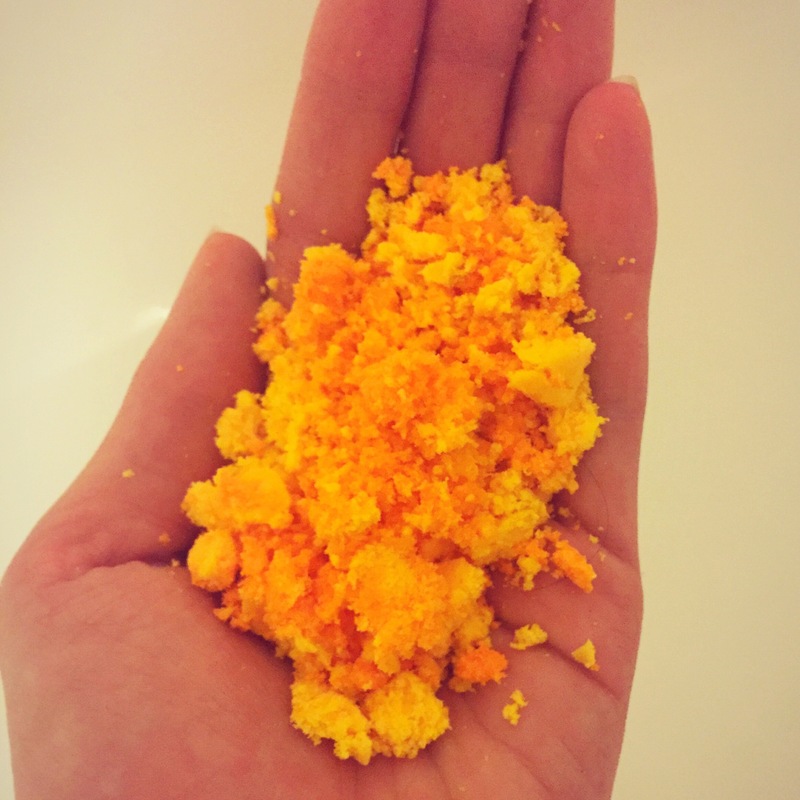 The main ingredient in this product is Lemon oil, which give the bubble bar is sweet yet zesty Lemon scent. The scent it’s beautifully strong but defiantly not overpowering. I found that the bubble bar was very easy to break up and crumble, this however didn’t make the bubble bar delicate when it’s in one piece. I just found it a lot easier than other bars to crumble under the water. I only used around two petals worth of the bubble bar, but it produced mountains of silky luxurious bubble that felt extremely soft to the touch. On a slight downside I did find that once the bubble bar was in the water the scent was very weak and it was quite hard to pick up on much of a scent and the water just turned a slight murky yellow. But on the plus side it left my skin feeling lovely and soft and produced so many bubbles. Overall I love this product so much and I really recommend that your try and get you hand on one of these fantastic bubbles bars to try while they are still around. Ingredients – Sodium Bicarbonate, Cream Of Tartar, Sodium Laureth Sulphate, Lauryl Betaine, Cornflour, Sunflower Petals, Sicilian Lemon Oil, Limonene, Gardenia Extract, Citral, Colour 19142:1, Colour 19140, Colour 15510.